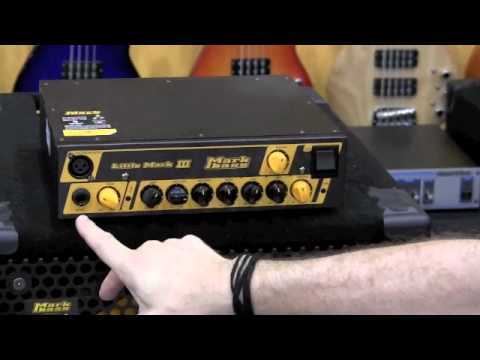 The flagship Markbass amplifier, the Little Mark III is the industry standard for tone, portability and value. This amp adds some high-requested features to its famous predecessor Little Mark II, with the same compact size and weight! The Little Mark III's solid-state preamp has a warm and natural sound, and faithfully reproduces the true tone of your instrument. The 500-watt Markbass power amp (Markbass Proprietary Technology) supplies impeccable bass frequency reproduction. The new DI output features a pre-post EQ switch and output level control, so you can optimize the signal you send to the mixer or recording unit. Product specifications are subject to change without notice. Rack ears do not come included with this head. Little Mark III introduced by Métronomie.